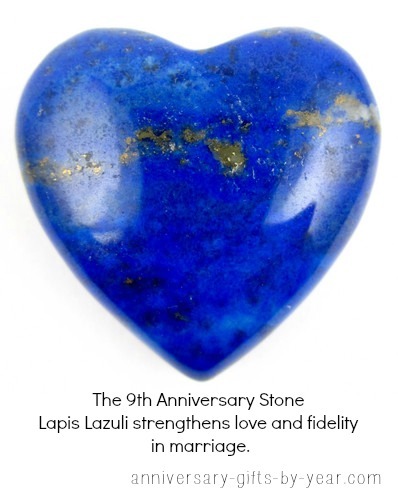 Your 9th anniversary gemstone is Lapis Lazuli, a gorgeous deep intense blue stone that is believed to promote harmony and friendship. A pretty perfect combination for married bliss! Not only is it a gorgeous blue semi-precious stone, perfect for jewelry, it has also been used in the past to create a beautiful blue pigment, Ultramarine which was used in paintings in the Renaissance time. 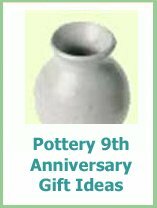 It was incredibly expensive so it was quite often reserved for the more important paintings. Or how about an anniversary city break visiting famous art galleries with even more famous paintings? Or you could look to visit the origins of the Lapis Lazuli stone; Afghanistan, Angola, Argentina, Burma, Pakistan, Canada, Chili, Italy, India, Russia and in the USA in California and Colorado. Or travel back even further in time and visit Roman and Ancient Egypt to see some truly gorgeous Lapis Lazuli examples.